Once again I'll be regretting my choice of sub-profession. I'm pretty sure that using this and the Enlarger at the same time will probably cause the server to crash. This thing is already ingame. That is of course from gnomish engineers, so that they can feel for 5 min like normal people. But what will happen if other races use it indoors, especially Tauren? Will they break through the rooftop? When I look at this, I suddenly get this flash back of Lucien giving me his story in the quest Der Tag, an dem Todesschwinge kam: Die wahre Geschichte. Lucien must have been the inspiration behind this. As it currently reads it gives 100% value which is double the normal size and doesn't stack, so no grabbing some oversized Dragon and throwing him all the way back to Kalimdor. But enough with the flask-backs. What I want to know is, what does it mean by "overuse may result in permanent shrinkage"? We get a rare occasion for the effects to last longer than 5 mins? Edit: I've had this for about a week now, there doesn't appear to be any side effects. This will easily be the biggest semi permanent size buff that can be used in all zones if it goes live. Shame it doesn't stack but I can't say that's surprising in the least. I've been running +60% for some time and I can tell you that +100%, even without stacking, will be VERY noticeable. It's a common misconception that +100% equals double size. In reality, while the dimensions of your character are multiplied by a single number(in this case 2), the actual volume increases by the cube. After using this device, you could fit EIGHT of your original characters into the space your buffed character will now occupy. Obviously this would get out of hand rather quickly if you could stack up more then one of these or even any other effects. As it is, I worry that it might be nerfed before I can even use it. As for other things I would like us engineers to get, an item which lets us buff other players or targets too for a purely cosmetic effect would be cool. Sort of like a reverse baby spice. Hunters can do this to party members with glyph of direction but it's rather limited. Doesn't work on mounts and requires a party. I'm really intrigued by the flavor text on this item. My theory is that it will do one of three things occasionally. Either give you a longer duration of the buff, a version which persists in combat or a much more powerful but temporary version which fades to the normal effect shortly thereafter. But who knows, after all, it's gnomish engineering. If only Lucien Tosselwrench had this when Deathwing came. It would've been a short expansion! I have a feeling this may be similar to the Whole Body Shrinka' from 5.3. Or in other words... A "Point of View" (PoV) size altering item. "Overuse may result in permanent shrinkage." 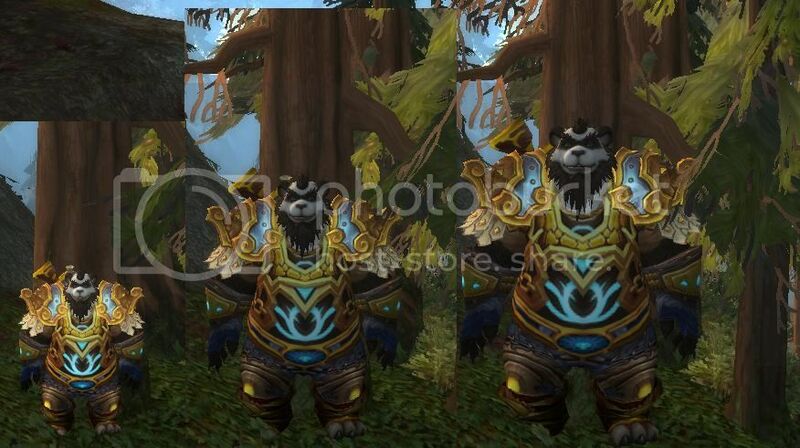 When WoD drops, I am going to grab this item as fast as Pandarenly possible. Wait, is that even a word? Wish I could get a beta account so I could actually comment on this item, assuming it's implemented. It's frustrating that we have 600 keys or so given out by now + whatever Blizzard did and NOBODY has anything to say with first hand experience. It appears the flavor text is meaningless. I've been burning it on cooldown and nothing unexpected has happened. Used this and the world enlarger. They both went on and had their normal effects which resulted in 150% of normal size instead of 200% from the world shrinker alone. Weltschrumpfer + Handlanger Peins Messingkompass or Gamons Zopf = Sheer Awesomeness :) Have fun! Also, find the biggest mount in your arsenal, and mount away. EDIT: Sorry for the late edit, hotfix a while ago (during christmas event) made it so that you cannot use this with a mount. Trust people of wow to abuse the item during christmas. I can now CONFIRM both this item and the World Enlarger are a LIE! Healers can use this without breaking the effects! So long as you don't attack(although penance doesn't seem to count), you're golden(and also huge). 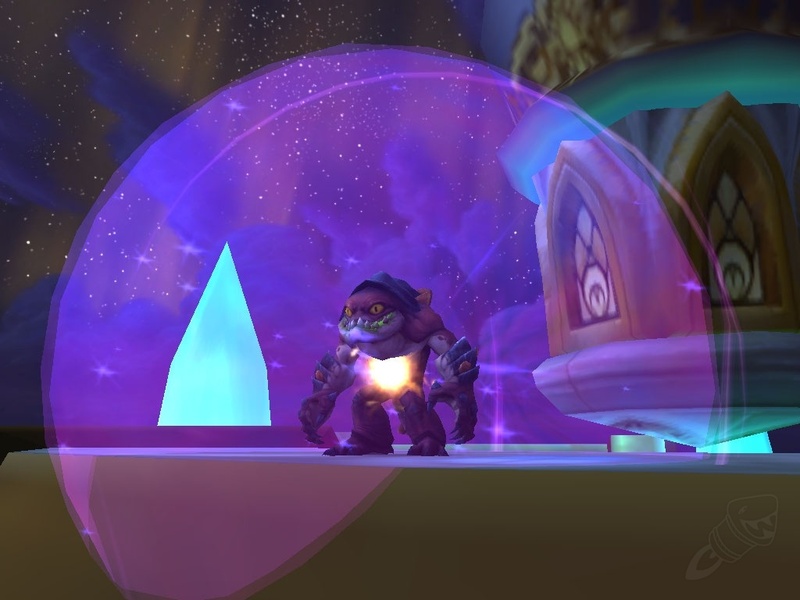 As of today 12/17/2014 at 7PM PST I've noticed it is no longer possible to mount with the buff from this toy active, this is great news for those who would actually like to complete Winter Veil quests sometime. This toy got nerfed, I can no longer use it while mounted. THANK YOU BLIZZARD! I'm not sure if they changed it, but as of 18th december the world shrinker buff disappears when I mount up. Being able to use it while mounted was fun just to run and jump around with. People who use it to cover up NPCs are indeed rude, but it doesn't hinder your gameplay in the slightest. Just turn on your name plates which takes oh i don't know, a few seconds, then right click the name plate to access the NPC, then when your done turn them back off. Its not as a big deal as everyone is trying to make it. Thanks for having them make an unnecessary nerf to a fun item, jerks. I think that they could at least reduce the CD of this if it's gonna break when you enter combat AND when you mount up. If they do that, I'm pretty okay with this recent nerf. Not only do you need engineering to add it to your toy box, but you also need engineering to actually use it from your toy box as well. Only stacks with Elixir of Giant Growth if you use the elixir first. So, Blizzard ruined your fun? Well have no fear! Befriending a local Jewelcrafter to make "Reflecting Prism" - 1 sorcerous fire, can allow you to swap appearances with someone in your group/raid/instance. Sorry I am new so no links. I love how the screenshot for this post is an orc just nonchalantly standing next to an alliance guard. This toy is UNNERFED on the 6.2 PTR and will now remain while mounted. the bad news is all growth effects will be suppressed while mounted anyway, including this one. This is still good because you can mount to go a short distance and not lose it. well this toy got nerfed again today pretty sure it had a 10min cd now it has a 15 why to do that? Nerfed again, because now it requires Level 1 Draenor Engineering(previously just level 1 Engineering). My AH mules can't use them anymore. "Übermäßiger Gebrauch kann zu dauerhafter Schrumpfung führen."